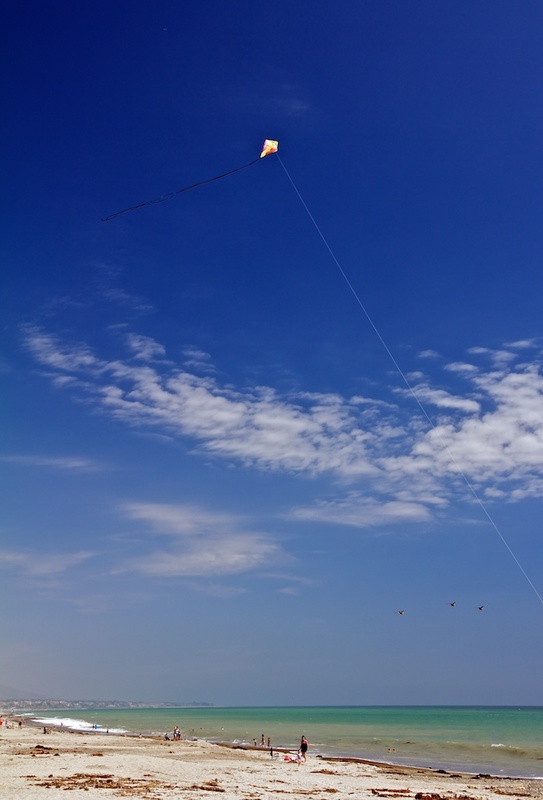 "Kite on Doheny State Beach" by Derrick Story. Click on image for higher quality version. Canon 60D, EF-S 15-85mm zoom, and polarizer. When I first saw this kite dancing above the beach, I zoomed in and tried to capture a close-up with the clouds. After a few frames, I decided to zoom out for a longer view. It was by far the more interesting shot. Just goes to show that what you initially think is going to be the best shot, isn't always.